Whether you are planning to take a trip for business or pleasure, these ten applications are sure to make your life easier. The Kayak app can be used to search through hundreds of travel sites for hotels, flights, rental cars, etc. in one easy to use place. Search for everything travel related (flights, rental cars, hotels, etc.) all in one place! This application is available for the iPhone, Android, Windows, and Amazon’s Kindle Fire. Download your next travel guide from Lonely Planet’s Travel Guide app. Download this free app to have access to hundreds of Guide Books right at your fingertips. You can download the app from the Apple Store and can also download ebooks as well. 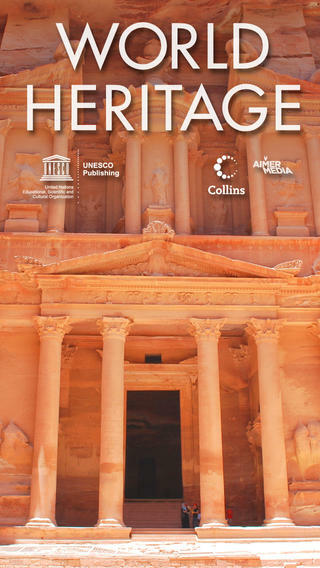 The UNESCO World Heritage app is a neat way to plan your next trip since all major world travel destinations are categorized here and there are over 650 images to check out too. This app is $2.99 and available from the Apple Store for iPhone and iPad. The cost is worthwhile since you get access to location maps for all sites; over 650 photos; the ability to search by country, classification, or name; create your favorites and plot them onto Google Maps; links back to the UNESCO site for more information. 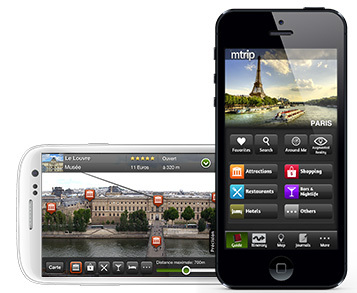 The mTrip app is like your very own personal, mobile tour guide while you are exploring your destination(s). 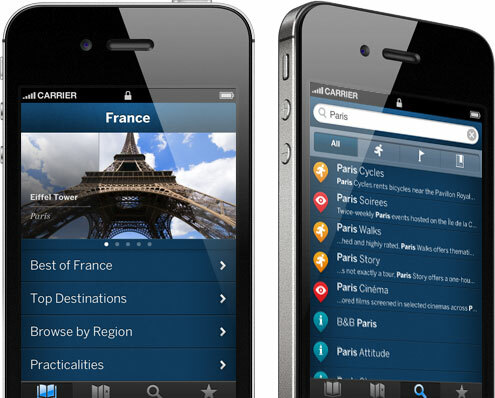 Another travel guide app that acts as your personal, mobile tour guide around most world cities. You can download this app on iPhone, iPad, and Android devices. Create a unique travel itinerary with the sites that you want to see. mTrip has a nice offline map feature that allows you to view maps and navigate around the city when you don’t have an internet connection. You can even send your friends and family members virtual postcards via email or Facebook. Check out reviews from other travelers about tourist sites and local destinations before you go using the TripAdvisor app. This app is available for the iPhone, iPod, iPad, Android phones and tablets and provides you with travel guides, reviews from other users, and you can even download offline city guides which you do not need an internet connection for and they won’t charge your phone for roaming. 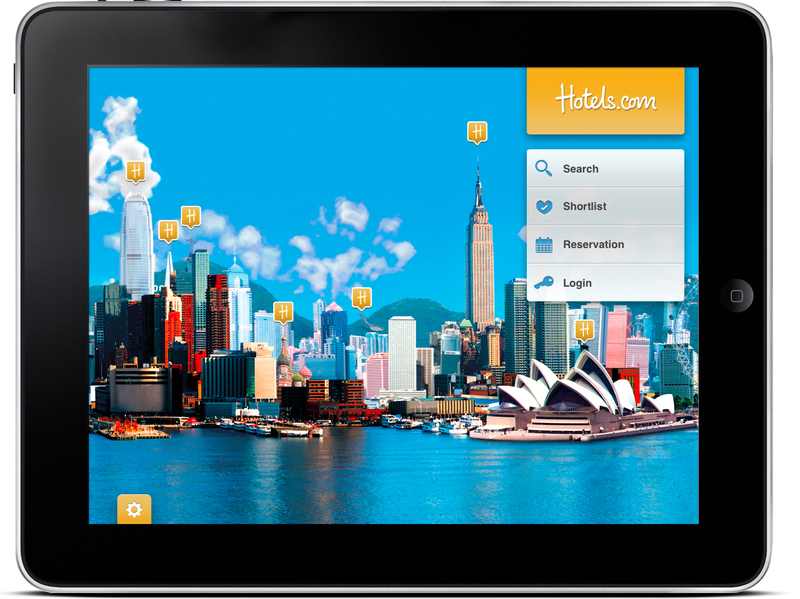 The Hotels.com app allows you to search and book thousands of hotels worldwide. Is a free app that allows you to view and book hotels worldwide, access your reservations even when you are offline, and track and redeem points. Available for iPhone, iPad, Android, and Windows. 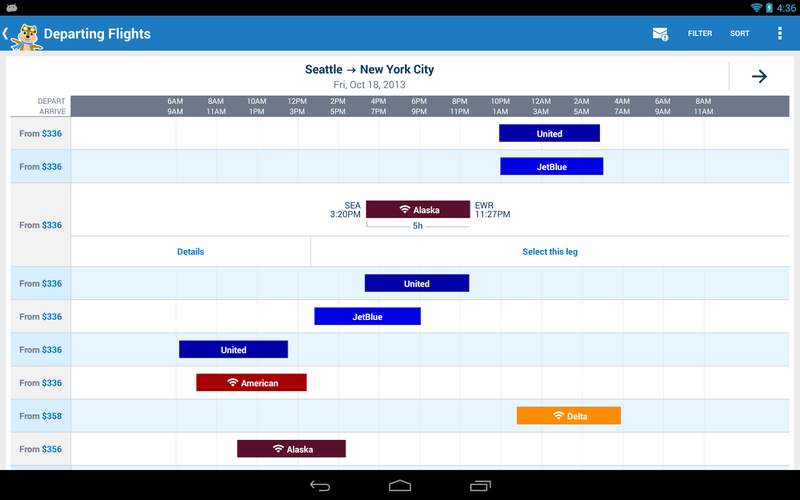 Try a new way to search for flights and hotels using the Hipmunk app. A new way to search for flights and hotels is by using the cute app Hipmunk (which appropriately features a chipmunk as it’s mascot). The search results are easy to see and easy to book. You can filter the flight searchs by “agony” which will show you flights by the least amount of fly time, layovers, and price. The hotel search results shows at a glance if the hotel provides parking, wifi, fees, etc. 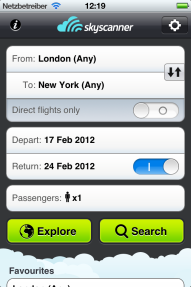 The Skyscanner app is another great way to search for flights. Filter your search results to show you the cheapest dates/times to fly if your travel is flexible. 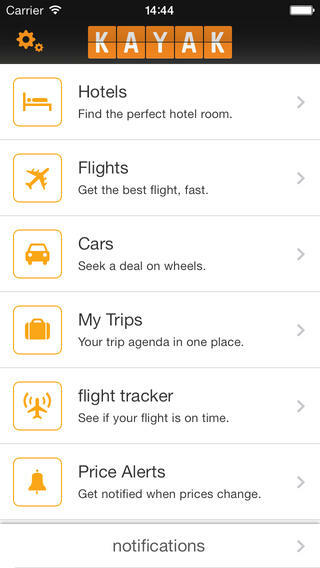 This is another free app that allows you to search for flights. It is available for iPod, iPad, Android, Blackberry, Windows Phone, and Windows 8. You can filter it by showing the cheapest days to fly (if your dates are flexible), it also shows you the cheapest times to fly. Filter searches by take off/landing times, prices, and airlines. It is available in over 28 languages and 68 currencies too! Keep yourself organized and on track with the uPackingList app. The name says it all – use this free app to keep yourself organized and on track when you are getting ready to pack for your next upcoming trip. Features include: unlimited list building and you can reuse past lists; a catalog of over 300 items to choose from; add any item to any category; you can enter quantities and notes for each item; and email the list to anyone when you are done, etc. Available for Apple and Android. Use the JetLag Genie app to help thwart JetLag before, during, and at your final destination. The perfect companion for a long trip oversees to help you beat jetlag. Available for iPhone or iPod touch, this app prepares you for your upcoming trip by allowing you to create customized daily plans before, during, and after you arrive at your final destination. 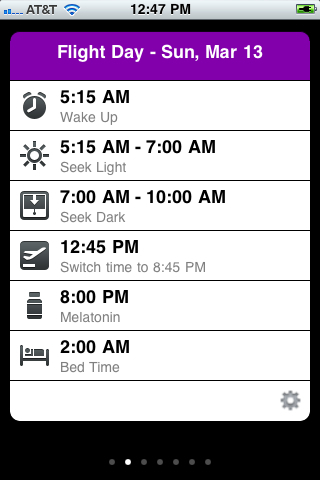 Input your normal sleep patterns and flight information to get customized results. There is a melatonin guide too. Planning any vacation or business trip can be a headache but with these top travel applications at your fingertips, your next trip is just a click away. If you are traveling with in the United States and prefer to stay in a fully furnished residential property rather than a hotel, then check out AvenueWest Managed Corporate Housing now in Boston, Colorado Springs, Dallas, Denver, Fort Collins, Phoenix, and San Francisco.